With the distances getting increased day by day the importance of time has increased, the means of transport have also changed. One of the most revolutionary vehicles used for transportation is a motorbike. The reason is that it is fast and fuel efficient which is the reason people prefer to buy them. Many brands are available in the market of motorbikes, but the most popular among consumers is Honda. Honda bikes are one of the bestselling bikes in the country. The reason is they are available at a competitive price and feature durable build quality. If you don’t have the money to buy Honda motorcycles, you don’t have to worry as Dreams.pk is here for you. Here on this website, consumers can buy Honda new bikes on cash and on EMI online. Collection of Honda bikes which include Honda CD70, Honda CG125 and many will be added soon. Motorcycles have become common in Pakistan, consumer wish to own a bike as it fulfills his basic needs of traveling. Dreams.pk is offering competitive installment plans for its consumers to buy Honda bikes on easy monthly installments. This well-known online leasing site is owned by Awais Farooq, who is also the founder of Comparebox. This site is getting a lot of popularity as it allows consumers to buy Honda bikes on installments with ease. Along with motorbikes, here on this website you can buy mobiles, LEDs, Home appliances and much more both on cash and EMI. You just say the model of Honda bike and you will see that Dreams.pk will have it. Nowadays, shopping has become effortless and now is in your monthly budget all due to Dreams.pk. 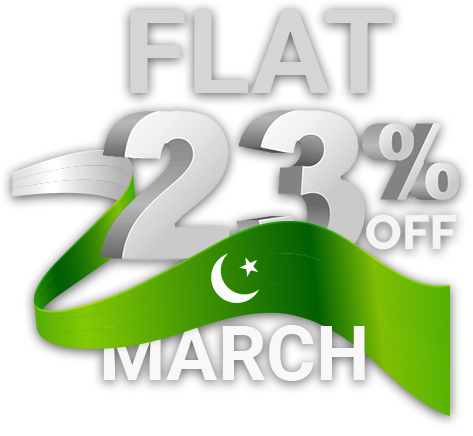 Consumers can enjoy easy monthly installments in Pakistan no matter where you are with ease due to this site. This website allows you to buy Honda bikes on monthly installments with Zero Down Payment in a secure manner. All bikes offered here on cash and EMI are provided through a dependable channel. To buy this brand bike on installments or cash, all you need to do is visit our motorbikes category. When you click on the motorbike’s category, you see Honda icon simply click on it. After clicking, you will be redirected to the Honda bikes page, where you see the option of bikes available on cash and lease. Now, simply select the installment plan of a Honda bike and you are good to go. In a duration of seven business days, you get a call from us and verification will be done. After the call and verification procedure, the bike will be delivered to you as per your convenience. Whether you are looking for 70cc or 125cc bike by Honda, you will get it here both lease and cash. Zero markup facility is also offered for the convenience of our consumers, who wish to buy this brand bike. We assure our consumers that the procedure of EMI online here on this site is completely secure. So, you don’t need to worry at all about getting your personal information leaked. This website can prove to be a lifesaver for those who don’t have the budget to buy a new Honda bike. We strongly suggest this website to the consumers who belong to middle class and wish to buy new bikes. Many consumers across the globe believe that when they shop online they don’t get original products. However, this certainly is not the case here on Dreams.pk as we assure our consumers that they get original products. We have direct contacts with company officials, which also helps to sell products on competitive prices. All the products sold here comes with an official company warranty, which gives a mind satisfaction to our consumers. We assure our customers no matter if you buy a bike or mobile phone it will be genuine and original. Dreams.pk offer affordable installment plans for this brand bikes, which you can use to buy bikes. Simply select the installment plan according to your budget and you are good to go. If you are tired of going to the market or are not able to get best price for products, without wasting any time visit Dreams.pk. Here on this site, you will not only be able to save your money but also your valuable time. The reason behind this is that you are offered competitive rates for your products. Buy your favorite model bike of this brand here on cash or installments with ease. Just by a few clicks, you can check the cash price of the product along with the installment plans of the same product. After checking it, all you need to do is fill in a simple form and you are good to go.